Lainey is using Smore newsletters to spread the word online. Another danger also has to do water pressure. As you go farther down under water, your body absorbs nitrogen. You must come back up at a certain pace so that you don't release all the nitrogen too quickly. If you do, then you may face "aching joints or a skin rash to paralysis, and death" (usatoday.com). Another risk can sometimes be the aquatic creatures living in the ocean. Jelly fish are rare but can be deadly. Another dangerous animal is the Triggerfish, which can be very aggressive. "These fish have been known to seriously injure divers, and are not to be taken lightly" (scuba.about.com). One fish that some people may see as a huge threat, is not- the shark. Sharks do not eat divers, and are normally very shy. They only injure divers when they are being fed. Another benefit is the marine life encounters. 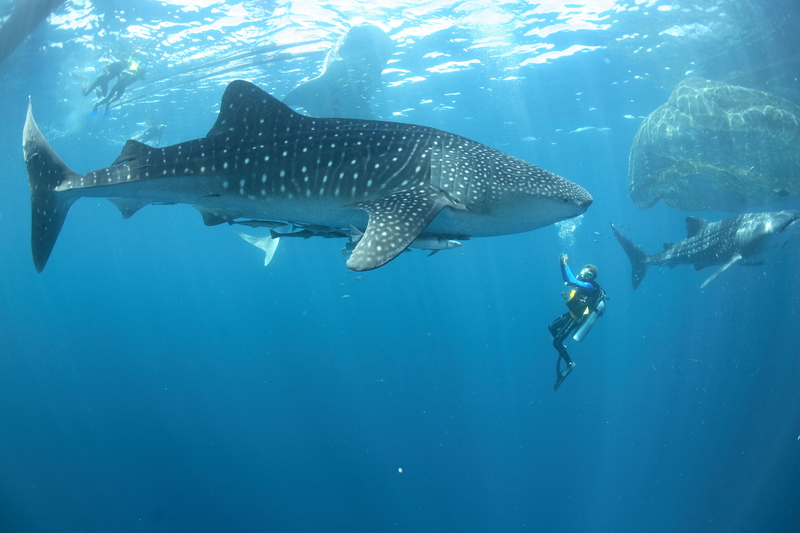 If you go scuba diving you'll get the chance to see amazing sea creatures like turtles and sharks. You'll be able to see an entirely different world than your own. These encounters "increase one's awareness of the environment and how critical the health of the ocean is" (oceanenterprises.com). Overall, scuba diving will bring you closer to nature. Yes, I would go scuba diving. Although your body is not made to breath underwater, there are so many other health benefits, and the experience would be amazing. The risk of a diving fatality is only one in 211,864 dives, so statistically, "scuba diving is safer than driving, having a kid, skydiving, and running a marathon" (scuba.about.com). I think that the rewards outweigh the risks and definitely want to go scuba diving one day. "6 Reasons Why Scuba Diving Is Good for Your Health – Ocean Enterprises DiveBlog." Ocean Enterprises Dive Blog. N.p., n.d. Web. 15 Sept. 2014. "How Safe Is Scuba Diving and What Are the Risks?" About. N.p., n.d. Web. 15 Sept. 2014. "Scuba Diving Benefits | 5 Reasons Why You Feel Better as a Scuba Diver - BOOK Your Dive." Scuba Diving Benefits | 5 Reasons Why You Feel Better as a Scuba Diver - Book Your Dive. N.p., n.d. Web. 15 Sept. 2014. "What Are the Dangers of Scuba Diving?" Travel Tips. N.p., n.d. Web. 15 Sept. 2014.